Sound Transit needs to do more to help bus commuters adjust to disruptions caused by light rail construction. 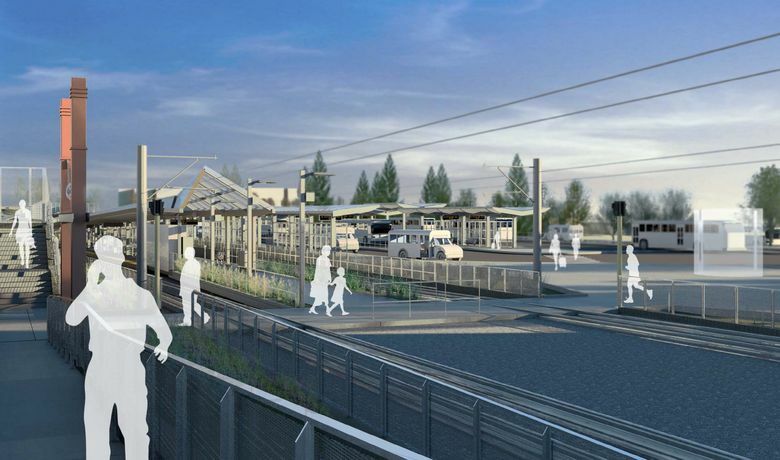 CONSTRUCTION has begun on Sound Transit light-rail service between Seattle and Mercer Island, Bellevue and Redmond. With that comes major disruption for people who already use buses to get to work in Seattle and Bellevue. Sound Transit efforts to minimize the impacts during the transition are not sufficient. This week, the Overlake Transit Center Park-and-Ride near the Microsoft campus closed. Later this month, the South Bellevue Park-and-Ride will close. Many people who parked their cars in those lots or were dropped off there to catch a bus will be facing longer, more complicated commutes. The construction zone at the Overlake park-and-ride makes dropping off a friend or family member in a safe and legal way nearly impossible. Sound Transit should have included a drop-off site in its construction plans. On the first day after the lot closed, cars were making dangerous U-turns after dropping off passengers, because the drivers did not realize closing the parking lot meant losing vehicle access to the station. Before the closure, signs posted at the Overlake Transit Center and information online said those popular bus routes would keep running after the lot closes. Now people need to figure out how to get to those buses. Sound Transit asked some nearby churches to accommodate commuters parking, but the buses carrying people on State Route 520 from Redmond to Seattle won’t be stopping at the church lots. The online trip planner pushes people onto different routes, which are already crowded with commuters. Or they can walk long distances to their old buses or travel on secondary routes that add a half an hour or more to their commute each way. People who use the crowded South Bellevue Park and Ride can expect a similar story at the end of this month. Planners should establish a safe place for bus riders to be dropped off near this transit center and the Overlake site to the north. Sound Transit has established a new web page to help displaced commuters find their way while the big parking lots are closed, but it is complicated and a little confusing. The agency is unreasonable if it assumes all these commuters will find places to park their cars at other transit centers and room on other buses. The park-and-ride lots won’t reopen for at least five years. What should bus riders do in the meantime? Surely not drive to work.